All proceeds go to a very good cause. Yes, it's that wonderful time of the year again when literally everyone across the world embraces the concept of love. Of particular note if you're single and looking to mingle, you can grab the Valentine's Day bull - okay, there's no such thing, but perhaps there should be - by the horns with an exciting new event that's taking place on the big day. 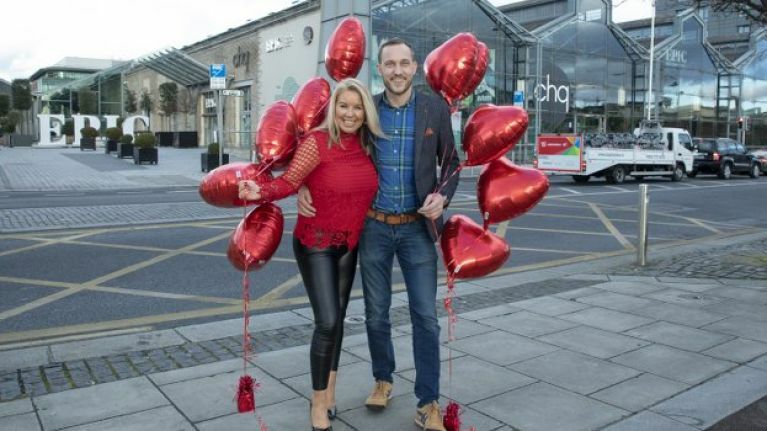 CHQ in Dublin will play host to a speed dating event with one eye on smashing the Guinness world record for such an occasion. To achieve that accolade, the organisers need over 655 people to show up and take part. If that sounds like you or a friend or a relative or whomever, read on. Tickets cost €15 per person and that will grant you a drink upon arrival, snacks, entertainment and a raffle ticket as well as two-for-one entry to the Irish Emigration Museum if you hang onto your stub and present it there within three months. And what hotter second date imaginable is there than a stroll around the Irish Emigration Museum? Come on, they've thought of everything. Best of all, proceeds from the night will go to two great causes; Movember Ireland and Breast Cancer Awareness. So there's really no excuse if you're just going to be sitting around moping on 14 February. With 20 dates per person lasting three minutes each, you just might get lucky, Daft Punk-style. The night will also utilise a Tinder-style app to keep things moving, only everyone will actually be there in the flesh, which just adds to the tension of it all. Up for it? Simply visit the Eventbrite page right here to get involved. Need some more info? Hit up this here link. And best of luck to all.